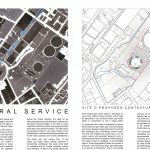 In 2017 the Royal Institute of British Architects launched an open competition to propose potential uses for disused gas holders in the UK. The majority of respondents to the competition brief put forward schemes including residential and commercial uses. West Waddy proposed an unconventional solution to the competition inspired by our recent involvement at a cemetery site in Henley on Thames. Across the United Kingdom the need for an alternative approach to the celebration, disposal and permanent commemoration of the dead is much needed for which the hundred or so empty gas holder base sites could provide a solution. The sites which are generally located in the urban centres of the United Kingdom are already easily accessible for use by the wider population and funeral professionals. 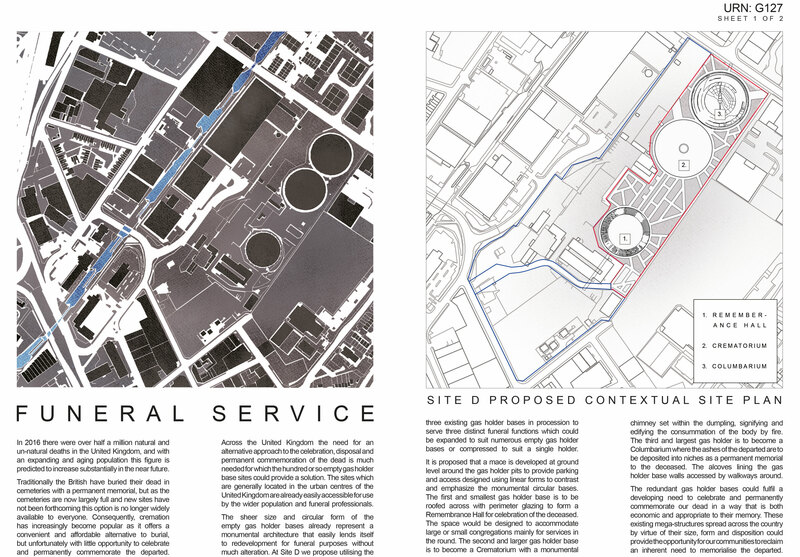 The sheer size and circular form of the empty gas holder bases already represent a monumental architecture that easily lends itself to redevelopment for funeral purposes without much alteration. 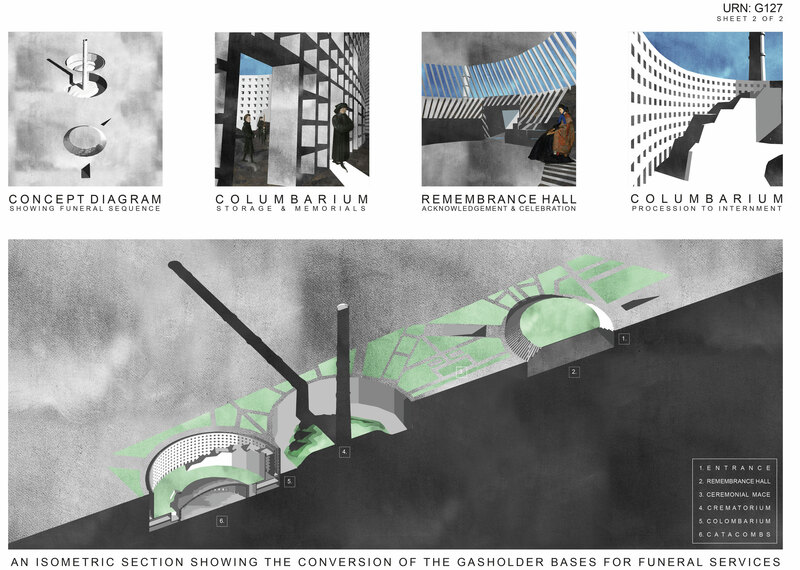 In designing for a specific site in an undisclosed location, we propose utilising the three existing gas holder bases in procession to serve three distinct funeral functions which could be expanded to suit numerous empty gas holder bases or compressed to suit a single holder. The redundant gas holder bases could fulfil a developing need to celebrate and permanently commemorate our dead in a way that is both economic and appropriate to their memory. 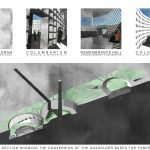 These existing mega-structures spread across the country by virtue of their size, form and disposition could provide the opportunity for our communities to reclaim an inherent need to memorialise the departed.